"But words are funny things. There’s only so long you can push them down..."
"I wish I were one of those people with very set routines, lovely offices, fresh flowers, yoga poses, no Internet, and so on. But I’m not. I’m the queen of clutter and chaos": Robin Black talks with Nichole Bernier about hipness, success, and her new novel, Life Drawing. When I read Robin Black’s story collection, If I Loved You I Would Tell You This, I was reeled in like a fish. This did it, on page 1: a father, driving his daughter to get a dog. He feels guilty describing the bucolic landscape she asks him about. She asks because she could only smell it (manure), and the dog they’re picking up is in fact a seeing eye dog, and she doesn’t want it. He feels guilty for having sight when she no longer does, and it turns out he feels guilty for a good number of other things, too, some of which he had control over and some which he did only marginally, like any spouse or parent, whose loved ones have the freedom to screw up their own lives. His reluctance to describe the scenery was a telling detail that gave me that reader-feeling I love: of being in the hands of not just a master storyteller but a human-nature ninja. I settled in to Robin’s book with that confidence that over the next hundred or so pages you will feel things, learn things, stop and put the book down while you think about things, and later, mention related things in conversations apropos of nothing, because it’s the kind of interesting bit you want to work in wherever you go. There are two inscriptions in my copy of the book. The first was penned at the Harvard Book Store where I met Robin in 2010, whom I’d only ever known on Twitter but so enjoyed her sensibility that I left all five children home alone (just kidding, Social Services, there was a sitter). The second inscription was added when we celebrated the paperback release a year later, because why not, and together the messages show the evolution of a writerly friendship. Here’s why, to me. Life Drawing offers a vivid twist on the classic a-stranger-comes-to-town story: an artistic, middle-aged couple, newly living in the Pennsylvania countryside to heal a rift in their marriage, have their delicate balance upset by the arrival of a new neighbor. This town isn’t really rural PA, it’s Marriageville, and it has No Trespassing signs up all over it. I love how Robin illustrates the way a distressed marriage can go for chilly months doing penance for a misdeed, and then experience a slow thaw. I love her faith that a marriage can have a spring again, even if no season is ever quite the same as the year before. Honestly, it’s the best portrait of a mature marriage I’ve read since Wallace Stegner’s Crossing to Safety (Random House, 1987). I get together with Robin far too infrequently, but when we do, we could talk for hours about the writing life and the things that go bump in the night. But email and social media exchanges are as marvelous a stand-in as they can be. And I love the chance to take it public, here. Nichole Bernier: I was riveted by your vivid portrait of a marriage in Life Drawing. 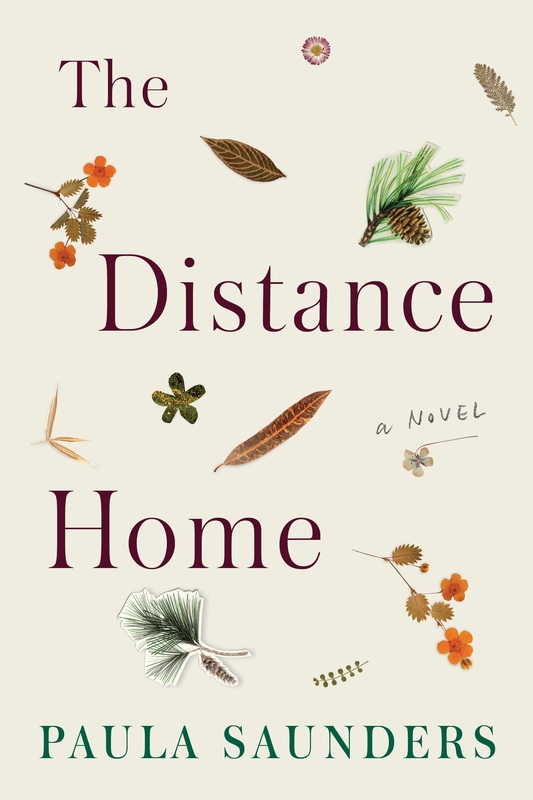 So few novels really nail the complexity of long-term, middle-age relationships, the way you can feel so in sync, then, in mere weeks, as if you’re barely orbiting the same galaxy. The arguing without saying a word. The subjects that become taboo, one after another, leaving whole swaths of conversations unsayable. It’s terrain not covered enough, or covered well, and you are all over it like Freud and Tannen and Kinsey in one. In your work, marriage is a common… I don’t want to say “theme,” or “condition,” but something along those lines. It’s an intricate web or framework that either holds your characters together or doesn’t. What is it about portraying marriage that fascinates you most? Robin Black: That’s a great question, because I think of myself as just about the least “touchy feely” person I know, so in a way it’s weird that I’m drawn to writing about something so often swathed in sentiment. I mean, lordy, look at weddings! Look at the way we, as a culture, attend these things and celebrate as if we have no idea what marriages become. (Talk about your suspension of disbelief!) Which isn’t to say they all become bad, not by any means. But unless we’re talking about the couple on the cake, they become complex, they become chipped, dinged. Tested and challenged. In a way that’s exactly what interests me the most: the challenge of starting out with this one set of feelings on the basis of which you believe you’ll forge a life together; and then gradually and continually having those feelings change, while you learn (or don’t) to value what love becomes, as much as you once valued what was new and thrilling. And it isn’t all downhill, of course; sometimes time brings exquisite revelations, new joys. But no doubt the story of every marriage is a coming of age story. A loss of innocence. So, of course, that’s exactly why an unsentimental person like me is drawn to the subject. Because marriages that last are triumphs of reality over fantasy. Maybe even the ones that end are, too. They may not be triumphant marriages, but still reality has stepped in. And I am always and eternally more interested in what’s real than in make-believe or wishful thinking. You also write frequently about loss, which in some ways is the natural foil to marriage or any kind of love, isn’t it—the opposite end of the spectrum? The attainment of the precious thing, and then its withdrawal, in any number of voluntary and involuntary ways. How we as humans deal with it when the precious thing is gone. It’s so interesting, because though I agree with you, what I see, when I look at marriage (or any such commitment) and loss, is not that they are at opposite ends of the spectrum, but, more prominently, that they are on the same spectrum, that it’s all about the same thing. If, as with me, what fascinates you about marriage has something to do with the intervention of reality into fantasy, well, mortality is kind of the king of that process. And as for grief, I have experienced it so keenly in my life—as have we all, by some age. I find it perpetually miraculous that in the face not only of personal loss, but of the inevitable accompanying reality of our own mortality, we find ways to absorb the shock and keep going. Most of us do, most of the time. You open Life Drawing with a bang, a bit of a spoiler about the fate of the couple. And then we drill down into the story—the who and the how—both of which are so engrossing. It shows faith in the reader, doing it that way, that even though the surprise is revealed, they won’t need the traditional carrot pulling them along. Was the novel always structured this way? And did you see it as a risk, or as a juicy hook? The truth is, I saw it as a kind of grappling hook for myself. The first paragraph never changed and I made that a rule for myself — though if one of my students did that, I’d probably waste a lot of time trying to explain how getting too attached to an opening is a bad idea. For me it was incredibly helpful to have that formal constraint as I worked. And there was something else at work. I haven’t found a good way to explain this yet, but I’m going to try again here. I knew that if I tried to write a novel in chronological order, I was going to get bogged down in the litany of “then this happened, then this happened, then this happened.” I think that’s my failing. As a writer I have difficulty sustaining interest in plot when it unfolds in so linear a way. So I made a very conscious decision, saying to myself, “Why don’t I give it away? And then I’m not stuck with the burden of the chronology.” I also had a feeling—and this developed later—that I wasn’t going to be able to pull off a surprise ending. So again, I thought removing any attempt at that would help me. I have long admired Michael Cunningham’s story “White Angel,” in which he gives away a death at the start, and then starts telling the story of the death. And I have long taught it as a case of a writer shifting the suspense from “What’s going to happen?” to “How is this going to happen?” and “What is the significance of the event?” It’s still suspense, and it still — when it works — gets the pages turned, but it’s a whole different relationship with the reader. Back to the grappling hook image, though. Knowing I had to make the book end where it had started was an incredibly helpful aspect of writing the book. That challenge was always interesting to me. It was a further way of keeping myself engaged as I wrote, making it a kind of puzzle I had to do. We’ve spoken before about writing that’s somehow in vogue vs. writing that isn’t, which is to say, it’s either evergreen or somehow old-fashioned, or maybe is just lacking in a certain attitude. And then you wrote the fantastic piece “21 Things I Wish I’d Known Before Becoming A Writer” for our literary blog BeyondTheMargins.com, which included this gem: “I can’t tell you how much time I have wasted wishing my work were more ‘hip’ and ‘edgier.’ And every single moment was indeed a waste of time.” Which made me want to go out to dinner with you all over again and talk about writing styles, vogue-osity, and emulation. About writing trendy versus writing true to yourself. Without naming names — though of course you can if you want to — how would you describe that hipness? What sort of styles have you tried to chase like a high school tech geek after a cheerleader? And was it because you admired them, or because you admired their popularity? And how would you characterize your own home base as a writer? It was such a gift to have a writer I so respect first say out loud what I have been most afraid everyone thinks, which is that my work isn’t what’s “in” these days. And then to suggest that the quality of being “far from fashionable” might be a virtue. I just felt such relief and so unburdened of something that has been nagging at me for a dozen years now. Not to say that everyone will agree that my unfashionable prose is all the better for that quality, that the cool-kid publications will suddenly decide to accept my stories of middle-aged married life, or that all the competitions and prizes for emerging writers under forty, under thirty-five, will suddenly rethink the political and sexist implications of those cut-offs—which are myriad. None of that is happening, and I remain female, middle-aged, and presumptively and actually unhip. But Messud’s words—and I can’t imagine she anticipated anything remotely like this—made it all feel a bit less like a defeat, and more like, Yes, this is inescapably who I am, and this what I write. And it should be judged on its own terms. So if you are comparing it to the newest trends in fiction, you’d best be moving on. And don’t let the door hit you on the way out. But as every uncool kid knows, there’s no way not to feel bad about being the class dork sometimes. Catch me the week of the Tin House Conference, and let’s see how I’m doing then. “Inescapably who I am.” So true and well said. Speaking of what we are and are not, I’d love to ask you about stories, a form I’ve never tried—novels are what I’m drawn to, along with essays and nonfiction, and I don’t think I’d know how to pace a short story. The truth is, I’m in awe of people who do both deftly. The two forms seem to me to be so different in energy and stamina, like a runner being both a sprinter and a marathoner. But probably the fact that I use such a melodramatic comparison shows how little I know about the way one approaches a short story, or how you recognize that a certain germ of an idea is meant to be a story or a novel. You know, the more I write, the less I know about the difference between the two forms. I used to have all kinds of snappy ways to put it—stories being photographs, novels being movies; stories being dates, novels being relationships, and so on. But the truth is I don’t really understand the difference between the two. And in part I think that’s because short stories and novels both, in their own ways, take so many forms that it’s impossible to generalize about them without having the exceptions leap to mind even as you speak. For sure, it has nothing to do with a time commitment on the author’s part, because I have had many, many stories take me longer to write than my novel took. There is a way in which—and here comes today’s snappy answer that I’ll probably disown one day—novels are about giving permission while stories are about being strict. Stories have curfews and novels have… permissive parenting? I don’t know. These metaphors for writing of which we writers are so fond do become ridiculous, sometimes even as they form. I wrote stories first because I made a conscious decision—aided by my graduate program, but also predating my time there—to use stories as experiments of a kind. Each one I wrote was very much centered on some craft challenge I set myself, which is why no two stories in my collection have the same narrative stance. So, there’s one in which I used direct address from one character to another as my narrative stance. There was one in which I was interested in having a story take a 90-degree turn midway and suddenly be about something else—while also clearly being about the same “deeper” things. There was one in which I played with fairy tale elements. And so on. They were learning devices for me, as much as they were tales I wanted to tell. My novel, not so much. It was just always too much a question whether I could write a coherent novel at all—never mind a good one—for me to have that kind of playful attitude. And as for which I prefer? A year ago, the answer was clearly “stories.” Now, I find myself feeling all kinds of disloyal to that underdog form because I am chomping at the bit to write the next novel. And, in fact, the first (and only) story I’ve written since writing Life Drawing, called “The Rabbi’s Wife” (on FiveChapters.com), feels very much like the kernel of a book to me. Meanwhile, I think you should give short stories a try. I imagine you’d find the compression challenges really interesting—though I know you have a lot of journalistic experience with that. But I bet you’d be good at it too. You’ve piqued my interest in trying. I love that idea of stories as learning devices, homework for trying a different voice or technique. And honestly, one of the things I’ve always admired about you is your dedication to craft, and to learning, and to broadening your reach across different media. It didn’t surprise me a bit after reading your narrator’s life as an artist to learn that you’ve been a longtime painter. And I remember the first time I met you in person, at your Harvard Book Store reading for the story collection, you mentioned having worked in pottery. You described for the audience a hiatus you’d taken from the written word after your MFA—a burnout of sorts—and that you only returned slowly, sneaking up on words through pottery like a child sidling up to a wild animal in the yard. Am I remembering this correctly? I’m fascinated by this. First, I just have to say, I remember that meeting so vividly. I was still very new to the whole “having a book out” thing, and new to social media—at least when it came to author stuff, as opposed to harassing my kids on Facebook. I was amazed that you had left your very busy household to come hear me read, especially as we’d never met before. I wasn’t exactly drawing crowds as a complete unknown with a short story collection, and it just floored me that you did that. About my ceramics years, that was actually pre-MFA. I had this funny little career doing the kind of pottery that people do at Paint Your Own Pottery stores and actually selling it in galleries and at craft shows. I painted a lot of landscapes and streetscapes, and then gradually I found myself incorporating the alphabet, just as a decorative element. But pretty soon, sentences, like story fragments. I was definitely sidling up to writing—I think that’s the exact right word for it. I wanted to be writing and for many complicated reasons just didn’t feel permitted to during that phase of my life. This was from about 1996 to past 2000. So I was in my mid-thirties, raising three children, in my second marriage, and definitely not a person who was ready to speak “her truth” in any kind of public way—even my truth as it appears, convoluted and refracted, in fiction. The year or so after my MFA, I mostly just moped. But that’s not uncommon, and it’s not all bad. In school you learn so much craft, for many of us there’s a way in which it has to kind of settle in, before it’s of the use it may eventually be. That’s interesting. My impression of emerging from a journalism program was just the opposite—everyone crouched on the starting blocks set to sprint. Perhaps that’s an apt illustration of the difference between the MS and MFA: trade vs. craft. When you interviewed me in this space last year, you asked me whether/how a master’s in journalism comes into play writing fiction—besides the obvious answer, which is that it’s one more way to go broke on a publishing career. So, back to you: in hindsight, how does your MFA experience line up with the things you’d expected to happen, and then afterward with your growth trajectory as a writer and a professional? I think that going to Warren Wilson was absolutely right for me, one of the best decisions I ever made, but it wasn’t easy—psychically, I mean. I was forty-one years old. I had been in my home with my kids for basically my entire adult life. And I was a bit of a mess. I felt hideously insecure and made all kinds of mistakes, some for that reason. I also had this funny experience, because I wasn’t let in to the program exactly as I’d hoped. I applied for the July Residency and the first call I got was to tell me that I’d been accepted—but for the January residency. That changed later when a spot opened up, but I spent the entire two years there (yes, the entire two years) convinced that I was somehow lesser than the seven other people who entered the fiction program with me, because none of them had initially been deferred to January… Incredible the lengths to which so many of us will go to feel bad about ourselves. Anyway, I found it challenging to be “out in the world” but I made great friends and learned an insane amount. I’m not saying I’ve used it all, but if I haven’t that’s on me. I think that there’s not a day I write when I’m not consciously using some craft strategy I learned there. Some through lectures, some through one-on-one work, and some through the critical work that’s a part of the program. The one thing with which I did not emerge is connections. Publishing talk is discouraged at Warren Wilson, the theory being that it’s a good thing to have a couple of years of pure craft—a theory with which I agree. I never had any contact there with anyone there who could “hook me up” with agents or whatever. I know that’s far from the case with every program (and actually can’t be sure it’s the case for every student at Warren Wilson), but it was worth it for the two years of insulation from worries about “the profession” to have to come out without the connections some programs supply more in the natural course of things. You’ve had a lot of locational upheaval while writing and editing Life Drawing—moving houses and renovating apartments, city vs. country, sometimes both at the same time. How in the name of all that is holy did you manage not to be creatively distracted by living in limbo? As someone who’s struggling with limbo right now, I’d love to hear how that played into your work (or worked against it). I feel so itinerant these days—I often wake up in one place and walk in the wrong direction to reach the bathroom. And we’re moving again! My ADD makes me good at both generating and tolerating chaos, which is a mixed bag. So, things are often pretty hectic and disorganized wherever I am, but I’m weirdly able to tune that out as long as no one’s actually talking to me. Though, having said that, when I finished the novel I sat on the same spot of the same couch out in the country for four weeks. I have almost no memories of those days. I know I must have eaten meals and, oh, I don’t know, been conscious; but it doesn’t feel that way. The only memories I have—and they’re vivid—have to do with the book. I remember writing the ending, which is momentous with every book, of course, so not surprising. But I also remember writing a lot of the other scenes I wrote over that time. I just don’t remember anything else. Like eating. So, yes. I can handle more chaos than most, but my optimal writing environment is somewhere beautiful, where I am by myself at least during the days—and ideally for a few 24-hour cycles now and then. Pet peeve: I hate, hate, hate, having to think about dinner every night. I cooked elaborate, modestly famous meals for my kids when they still lived at home, and since becoming an empty nester, it’s like something has snapped. I can see the fear in my husband’s eyes when he gets home and there’s just no way around asking me what I think we should do about dinner. It isn’t even that he’s asking me to cook—he’s just asking for an opinion, a preference. And I desperately want us somehow to be able to glide from the work-day to sleep without the nightly decision about food. I wish I were one of those people with very set routines, lovely offices, fresh flowers, yoga poses, no Internet, and so on. But I’m not. I’m the queen of clutter and chaos. Who knows—maybe something in the clutter speaks to you, opens the spigot? You’ve said before that Life Drawing “poured out of you” as nothing had before, even though before then, you said you’d been kicking the couch and grousing that you had nothing left to say, you’d already said it all in your stories, etc. Where did that pouring come from? What opened the floodgates? I’ve written about this elsewhere, I think, but the honest answer is that as soon as I made my main characters childless I wrote and wrote and wrote. I love my children, and I loved being a full-time Mom, which I was for many years. (Well, I didn’t only love it, but that’s another story.) And a lot of my writing has been informed by parenting. My story collection is so much about that! And when I started trying to write a novel, I kept going back there. Families. Parents and children. But then, after years—literally years—of trying to get a novel going and being unable to, it occurred to me to nix the kids. So, my narrator is both childless and motherless. And once those decisions were made, it was like this novel had been sitting inside me whole time and. Well, the pregnancy imagery is ironic…But it was a bit like that. I think that I was unaware of how much of my creative life was caught up in mothering. I really needed to put a wall up between the two things. Lingering on various hard drives in my possession right now are the abandoned beginnings to at least two hundred short stories…. I also have several dozen similarly abandoned essays, three novels that made it past the fifty page mark and of course the big one, a 300-page novel that I worked on for four years, revised at least three times and that was, in October 2008, the back end of my two-book deal with Random House. May it rest in peace. How do you know when a book (story) isn’t right? When and how do you walk away? There isn’t one answer to this. Recently, I swore I was going to finish a story I have been working on for seven years. It just couldn’t be impossible to finish. So I was going to give it a few dedicated days (I can see you, Nichole, having empty-nester envy…) and I would just finish it. I would reread it, discover what possibility had been eluding me for seven years, and just do it. I knew there was some thread there I was overlooking. And… of course I couldn’t do it. I ground out right where I have every time. Point of view changes didn’t help. Cutting characters, ditto. Yet I don’t feel as though I am done with that story. I still believe I will finish it one day. So why is that piece alive when my first attempt at a novel—along with dozens of stories—is clearly a sad, dead thing? I have no idea. I just know the difference. It’s almost like a smell thing. I can smell in that short story that there’s something, some element that I have unknowingly buried there that will save it yet. While my former novel… not so much. It has no mystery left, no sense of possibility. I felt like I had dug to its depths—and that was all there was. So, what is that? Instinct, I guess? And, of course, as far as the “dead” work goes, it’s a self-fulfilling prophecy. Once I decide there’s no future for a work, I never go back, and so there really is no future for it. What does your definition of success look like? What fate for you and your book would make you happy? Awards? Riches? Zero critical reviews? Is it even possible to be content, or is the nature of a writer always to see what we could have achieved if we’d swayed every naysayer, won over every Goodreads malcontent? I love this question because as much as it seems to invite fantasy, it’s actually very grounding. And as you’ve said, you do nix fantasy. In fiction, yes. Fiction, where I get to play God. In life, though, it’s amazing how persistent that fantasy demon can be! This winter, mid pre-book stress, I had my one and only huge meltdown about some stupid publication related mix-up, and my agent asked me exactly this question, though just about Life Drawing: “What is your dream for this book?” And as stupid as this sounds, it was the first time I had ever really thought that through. So I started checking off the possibilities—not of fantasies, but of things I felt like I needed in order to feel like a success. Did I need it to be a NYT Bestseller? No. Did I need to win a major prize? No. Did I need or even want the book to make me famous? No. Turns out, what I wanted and still want is for people I respect to think I do this well—because I work like hell at it and I want that to result in quality. And I want for some people to feel like some of the observations I make in my fiction are helpful in their real lives. I’d also like to not get any humiliating reviews. And I want to sell enough copies that I can sell another book if I want to. I don’t know about you, but it’s super easy for me to fall into assuming that I desperately want what we’re told are the pinnacles of this profession. But in fact it turns out that what would count as success for me, while still by no means a sure thing, isn’t in the stratosphere. I don’t need to be declared “the best,” I don’t need absolutely everyone to love my work. I need to be respected and I need to get to keep writing. And that doesn’t require anxiety or craziness or a feeling of hopelessness at not reaching the top of the top. It just requires hard work. And I can do that. Oh, and it requires some luck—over which I have absolutely no control, so on that score, I might as well relax. Nichole Bernier is the author of The Unfinished Work of Elizabeth D (Crown/Random House, 2012), which spent eight weeks on the Boston Globe Bestseller List and was a finalist for the New England Booksellers fiction award. A Contributing Editor for Conde Nast Traveler for 14 years, Nichole was previously on staff as an editor, columnist, and television spokesperson. 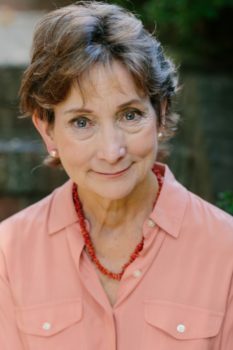 She received her master’s degree in journalism from Columbia University, and has written for publications including Psychology Today, Elle, Health, Salon, The Millions, and Post Road Literary Magazine. She lives outside Boston with her family, and is at work on her second novel. She can be found at nicholebernier.com and @nicholebernier.